The Module 2 will guide you to deep the process and the “how to” structure an innovative and sustainable project idea. It includes considerations regarding the analysis of the logical structure of the project intervention using the Project Cycle Management itself. Module 2 is focused on the process of project development: from need analysis to SWOT matrix; from the design of the objectives under the SMART matrix, to the development of an innovative, sustainable, effective project idea. 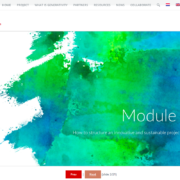 The “module 2 – How to structure an innovative and sustainable project idea” is available in English, French, Italian, Polish, Greek and Dutch. The module in download is accessible here. http://generativity.eu/wp-content/uploads/2018/02/module-2-screenshot.png 799 1172 teamGenerativity http://generativity.eu/wp-content/uploads/2016/12/small_logo-180x180.jpg teamGenerativity2018-02-23 09:33:222018-02-23 09:41:35The "module 2 - How to structure an innovative and sustainable project idea" is available in free download. Following the progress of the implementation, and in conformity with what you have read in the slides, it comes the moment for the evaluation. we therefore invite you to fill in the evaluation questionnaire of the tutorials that you find here …. We thank you in advance for your attention and time: your indications are precious for us to improve the quality of our training outputs. This “module 1 – Financial and programmatic priorities of the EU2020 strategy within various programs” deals with financial and programmatic priorities of the EU2020 strategy within various programs. It offers a detailed overview for the factors we need to consider before approaching EU funds; it explores various issues concerning the ways of selecting an appropriate EU funding programme. The “module 1 – Financial and programmatic priorities of the EU2020 strategy within various programs” is available in English, Frenche, Italian, Polish, Greek and Dutch. The module in download is accessible here. http://generativity.eu/wp-content/uploads/2018/02/Schermata-2018-02-08-alle-10.25.02.png 800 1165 teamGenerativity http://generativity.eu/wp-content/uploads/2016/12/small_logo-180x180.jpg teamGenerativity2018-02-15 19:44:382018-02-15 19:54:50The "module 1 - Financial and programmatic priorities of the EU2020 strategy within various programs" is available in free download. We are happy to announce that the “Module 0 – Things to know when applying for EU funds” is now available in free download from the dedicated section of this platform. 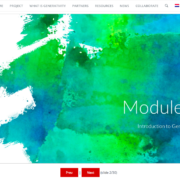 The module provides an introduction to the all other Generativity modules and to the basic concept, principles and praxis of Project Cycle Management (PCM) which is being used as an essential tool for EU project management success. The “Module 0 – Things to know when applying for EU funds” is available in English, Frenche, Italian, Polish, Greek and Dutch. The module in download is accessible here. http://generativity.eu/wp-content/uploads/2018/02/Schermata-2018-02-08-alle-10.24.29.png 721 1164 teamGenerativity http://generativity.eu/wp-content/uploads/2016/12/small_logo-180x180.jpg teamGenerativity2018-02-08 19:56:092018-02-08 20:01:59The "module 0 -things to know when applying for EU funds" is available in free download.